The Lithuanian Sports University (LSU) starting its tradition from 1934 is the cradle of Lithuanian sports. University has been playing for the last 8 decades and still plays the important role in sports development in general as well as in sports science and sports education. LSU is a unique institution providing huge amount of sports and wellness specialists who foster citizens to be responsible for their health and healthy life. The LSU is an important centre of sports science and a fosterer of physical education and sports values and traditions in Lithuania. Since its foundation the institution has trained over 14 000 teachers of physical education, sports coaches, physiotherapists, tourism and sport managers and other qualified specialists. Over the years many distinguished scholars, world-known coaches, prominent sports and public figures have graduated from the University. 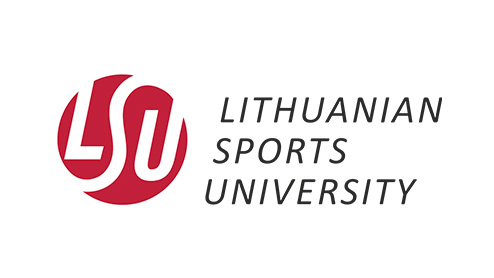 The University is the only Institution in Lithuania training coaches in different kinds of sports. At the moment 2000 students are studying at the University and can choose one out of 4 Bachelor, 6 Masters and 1 PhD programmes at the Sports Biomedicine faculty and out of 4 Bachelor, 3 Masters and 1 PhD programmes at the Sports Education faculty. The research projects are performed in different areas of social and biomedical sciences, such as muscle and movement control, rehabilitation, public health, physical activity and social empowerment of the disabled. The strategic areas of research are: Coaching Science, Sports Physiology and Genetics; Skeletal Muscles, Motor Control and Rehabilitation; Health, Physical and Social Education in the Society Undergoing Changes; Leisure Management, Economics and Sociology; Physiological and Social Aspects of Empowerment of Disabled.